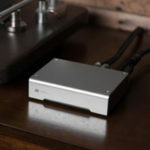 The First Watt SIT-1 is a single-ended Class A monoblock power amplifier that uses a single transistor, no feedback, and no output transformer. Let me just start the review by saying two things. First, this amp does not sound like a world class 300B SET amp. Second, if you like the sound of 300B SET amps you will more than likely like these amps very much. Having gotten that out of the way let’s start the review. If you’ve been an audiophile as long as I have, Nelson Pass is probably nearly a legend to you. I remember in my early twenties drooling over the Threshold amps. In the mid 80s he designed the real bargain amp of the day, the Adcom GFA-555 amplifier. For the past few years I’ve noticed as I attended audio shows, that I consistently enjoyed the rooms that used Pass Labs amplification. 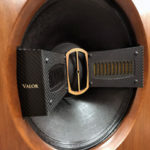 So when our dear Publisher asked me what I would choose if I could review any product I wanted, I surprised him by saying Nelson Pass’ First Watt SIT-1 mono-blocks. 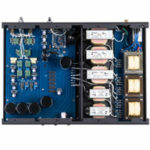 In Pass Labs, Nelson Pass has a company that produces more main stream and powerful amplifiers. With First Watt, he is experimenting with less main stream, less powerful, and simpler amps, but don’t think that means for a minute that they produce less music. To me, this amp falls into the category of what I would call an exotic amplifier design with its rare and single output device per channel. With this amp, we have Pass’ latest effort at a simple amp. It is a single-stage, no feedback, pure class A, single-ended circuit that has only one active device per channel; that is one SIT transistor. The chassis is mostly heat sinks, and inside there are resistors, caps, and a power transformer. Oh by the way there’s two more things I’ve never seen on solid-state amplifiers: user-adjustable bias and switchable input impedance. Simplicity at this level, of course, requires some compromise. In this case the most obvious compromise is that it only puts our 10 watts per channel with 2nd-order harmonic distortion of about 5% THD at full power. Descriptions like this is where the connection with 300B SET amps come to mind, but when it comes to frequency response of 4 Hz to 500 kHz (-3 dB) , there’s nothing SET about this amp. It’s also much quieter than any SET I know of with ultra-low noise levels of 150uV unweighted for full bandwidth. The input of the SIT-1s are AC coupled via a 4.7 uF Clarity polypropylene cap. Pass chose not to use an output transformer so he also uses a large DC blocking cap in the output, a parallel combination of two 4,700 uF/100V electrolytic and a 4.7 uF Clarity polypropylene cap. “Do simple SIT amplifiers sound the same as single-ended Triodes? That would be a matter of opinion. Without an output transformer with its significant limitations, the SIT has a bandwidth and distortion edge. On the other hand, some people like the sound of their transformers.” Still, I want to state again that the SIT-1 amps did not sound like SETs I have had in my home, but I can’t imagine a person who likes SETs who wouldn’t also like the SIT-1s. I used the SIT-1s in my reference system: AMG Viella V12 turntable, Soundsmith SG-220 Strain-Gauge cartridge and preamp, Teresonic Ingenium XR speakers with Lowther DX4 silver drivers, High Fidelity Cables CT-1 interconnects and speaker cables, Ultimate magnetic cables, and Audience AU24 powerChords power cables. The amp the SET-1s replaced was my beloved Wavac EC-300B with NOS Western Electric 300Bs and NOS Western Electric front end tubes. When I say beloved, I like this amp so much that I built my system around it. As I mentioned, this amp has user-adjustable bias. The SIT-1 is passively biased using several 7.5- and 5-Ohm, 100W film type power resistors to total 800W. There is a nice looking meter on the front panel with a knob right next to it. Just like the meters on the Allnic tube amps there is a center section and you are to keep the amp in that green center section. While this, of course, would not make the amp sound better, I bet a lot of people wouldn’t mind if the meters were lighted just for looks. 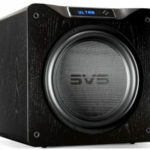 Still, the SIT-1s are not about looks but about great sound. The informative owner’s manual says to start the meter in the center. It also says that for the first day or two it may drift some, so try to keep it in the center. Without getting all technical, if you turn the knob and move the needle to the left toward the knob, the sound gets slightly warmer and if you move it to the right slightly, it become more lit up sounding. Being audiophiles, I know there will be a temptation to play with it, but I suggest that you give it a week or two of playing and then pick a recording you know well and set it where you think it sounds best, then leave it alone. Warranty: Parts and labor for 3 years, not covering shipping costs or consequential damages. I really liked your review of the First Watt SIT-1 , I thought it was so good that I would like to purchase a pair of the First Watt SIT-1`s or even a First Watt SIT-2 for myself , do you know anyone who has a used pair for sale , Nelson Pass has discontinued production of them ( Ran out of the SIT parts from the large lot he purchased ) . Please get back to me and let me know .